In late December Cary installed the long-awaited crossing signs and a few signs to remind users to call out "On your left" when overtaking others on the trail. Signs identifying the ATT and the road being crossed have been installed at New Hope Church Road, Pittard-Sears Road and O'Kelly Chapel Road. Click here to see the New Hope Church Rd. sign. A wage dispute between the NCDOT and the U.S. Department of Labor has delayed the bid opening for this project. The dispute involves estimates the Labor Department uses to set wage rates for projects that use federal money, such as the long-awaited pedestrian/cyclist bridge near Southpoint Mall. Good News in late December: N.C. Department of Transportation officials have given Durham the all-clear to take new bids on Jan. 25 from contractors interested in building the bridge over I-40 and construction of ~4 miles of trail (Phase E of the ATT). DOT had tried to delay the use of new Federal wage guidelines on new projects until later in 2012 but has now decided to let Durham proceed with this procurement. For more on this story please see the recent Herald-Sun article To see planning and bid documents and periodic reports on the status of Phase E, you may want to access the City's web site. State officials will hold three meetings this week (Nov. 28--Dec 2) to get public comments on Durham County railroad crossings. The "visioning workshops" are the start of a "Traffic Separation Study" aimed at improving safety, and the public's opinion matters, said city Transportation Director Mark Ahrendsen. "Anything that's done with these crossings ... affects communities as well," he said. Depending on the study results and cost estimates, some crossings could get stoplights or gates, be converted to over- or underpasses or be closed. Where money for improvements might come from is a question for later, said Sandra Stepney, spokeswoman at the N.C. Department of Transportation Rail Division. "This is just the study phase," she said. The study covers 18 crossings on the railroad's 12.7-mile corridor between Neal and Cornwallis roads. Anticipating an increase in passenger traffic on the N.C. Railroad line, the state transportation board appropriated $140,000 for the study, with Triangle Transit, the city of Durham and Norfolk Southern Railway chipping in $20,000 apiece. In 2004, Norfolk Southern suggested closing the Blackwell Street crossing and offered $4 million to build a pedestrian underpass connecting the American Tobacco and Diamond View office complexes with downtown. City officials refused to go along with the idea and suggested a bridge to carry the tracks over a rebuilt Blackwell Street. The railroad dismissed that proposal as too expensive. The company also dismissed Downtown Durham Inc. CEO Bill Kalkhof's suggestion to rebuild the tracks to run underground. * Monday, Nov. 28: Durham Armory, 212 Foster Street, for downtown crossings between Gregson Street and Driver Street. * Tuesday, Nov. 29: Trinity Ballroom, Hilton Durham, 3800 Hillsborough Road, for crossings in west Durham between Neal Road and Buchanan Boulevard. * Thursday, Dec. 1: NC Biotechnology Center, Hamner Conference Center - Glaxo Galleria, 15 T.W. Alexander Drive in RTP, for closings in eastern Durham between Ellis and Cornwallis Roads. DOT will take written comments until Jan. 6 and pedestrian safety recommendations are due by the end of January. The full study is scheduled to run until April 2013. Durham staff have announced that the second bidding documents will be released to potential bidders on November 15th and a bidders Q&A session is set for November 30th. Bid opening by the City has been set for December 15th. Assuming at least one proposal comes in within the increased funds now available, this could allow an Award to be made in the February-March period. To keep up with the status of these efforts please check in on the City's web site. In a September 14th meeting, the Durham-Orange Transportation Advisory Committee considered several options for additional funding and have opted to use ~3.5 million$ from a reserve fund which had been set aside to cover cost overruns, small and county transportation projects, and initiatives for Triangle Transit. An earlier proposal to reallocate funds that had been set aside for future sidewalks in Durham was turned down after serious concerns expressed by Durham representatives. 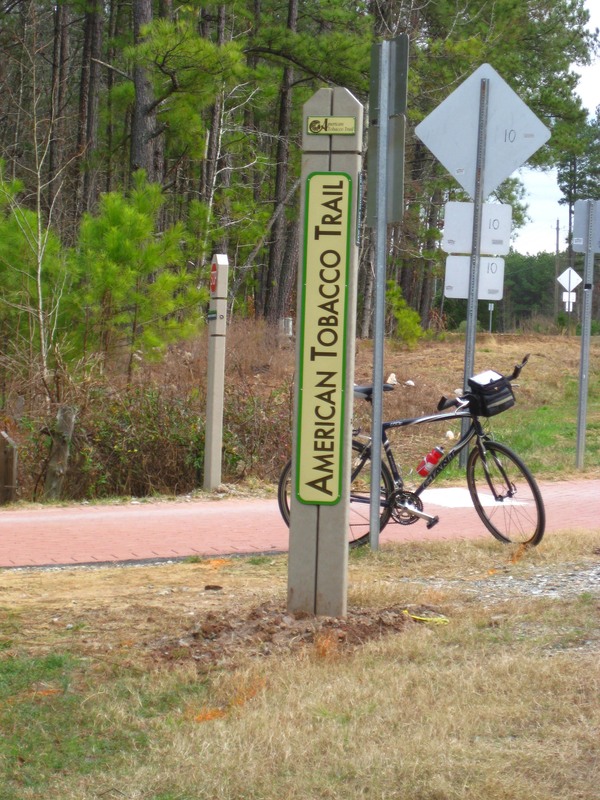 Officials from the two counties agreed it made sense to use the reserve given that the tobacco trail’s completion has been threatened by a budget shortfall. “It’s a regional project that affects the central part of the State, and we need to move forward,” Durham City Councilman Mike Woodard said, after Mayor Bill Bell and Councilwoman Diane Catotti had also signaled support for using the money. The decision must now be approved by the Durham/Chapel Hill-Carrboro Metropolitan Planning Organization. Some changes to the specifications for the bridge are being considered such as allowing the contractor to have 18 rather than 9 months to assemble components for the bridge. No date has been set for start of the second bidding but if MPO approval can be settled in 30-60 days this could happen by the first of the year. It now appears construction will not start until sometime in the Spring.